It’s actually a rather catchy demo. Check out the cat’s participation at the beginning of the song. Controlling Analogue Solutions Telemark’s filter with Doepfer Dark Energy LFO. Dark Energy has an incredibly high LFO rate and can make for some interesting sounds when paired with the Telemark. 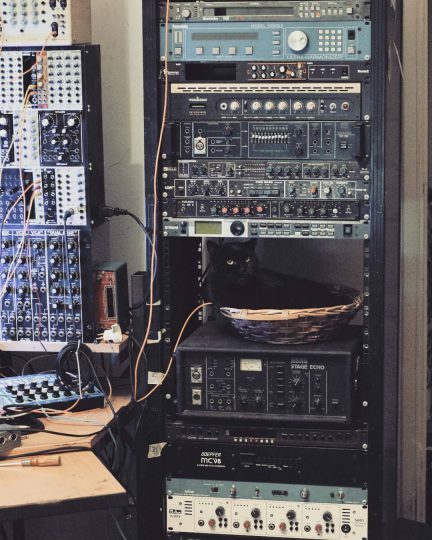 If you have your own cat-and-synthesizers or cat-and-music pictures, you can send them to us via our Facebook page, or tweet us @catsynth, or try our submission form. You can read more detail on the original post on matrixsynth.